Cincinnati, Ohio - Roger Federer charged out of the blocks to start the Cincinnati Masters with a victory Wednesday as the Frenchman who beat him last week was upset in the by Australian Chris Guccione. Top seed Federer lead a parade of seeds who began after byes, pacing the pack with a 6-3, 7-5, defeat of Argentine Jose Acasuso, his fifth victory in that series without a loss. Hamburg - Roger Federer of Switzerland continuest to lead an almost unchanged Top 10 men's tennis rankings issued on Monday by the ATP. 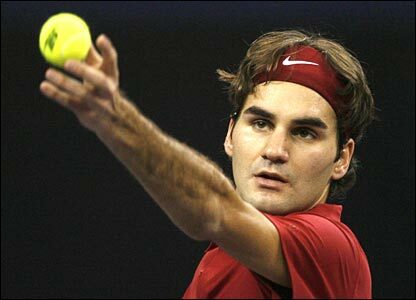 Federer leads with 11,060 points from Spain's Rafael Nadal (9,285) and Great Britain's Andy Murray (8,260). The only change in the Top 10 sees Fernando Verdasco move up one place to 10th. Zurich - Roger Federer will return to the courts for the first time after last month's Wimbledon triumph as he confirmed Friday he will play at next week's Montreal Masters. The new father of twins born last July 23 gave no hint if his family would travel with him to Canada. The Cincinnati Masters which starts a week later was not mentioned. Zurich - Tiny Charlene Riva and Myla Rose made their photo debut Friday as proud parents Roger Federer and Mirka Vavrinec published the first picture of their new arrivals on Facebook. While eager to explain the trials and minor tribulations of snapping a picture of the two-week-old infants, Federer dropped zero hints about whether he plans to play in the Montreal Masters from Monday. But that small mystery will be solved later when the draw is made in Canada. 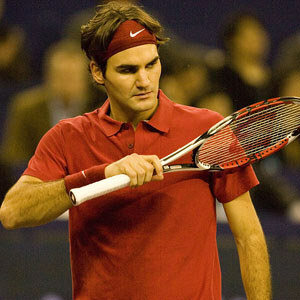 Hamburg - Roger Federer of Switzerland maintained first place in the men's tennis rankings issued on Monday by the ATP. Federer, whose twin daughters Charlene Riva and Myla Rose were born almost two weeks ago, tops the bill with 11,060 points from Spanish rival Rafael Nadal (9,285) and Briton Andy Murray (8,260). Zurich - World number one and 15-time Grand Slam winner Roger Federer is the father of twin girls after his wife Mirka Vavrinec gave birth in Switzerland on Thursday. The girls have been named Charlene Riva and Myla Rose. "This is the greatest day of our lives," Federer said on his website. "Mirka, Myla and Charlene are all healthy and doing very well." 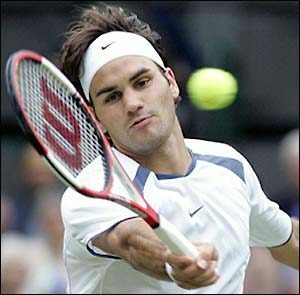 London, July 24 : Wimbledon tennis champion Roger Federer and wife Mirka have become proud parents of twin girls. The happy news came on Thursday. The twins are the first children born to the couple, who were married in April. The 31-year-old Swiss world tennis number one has named the girls Myla Rose and Charlene Riva, reports The Telegraph. In a statement released on his Facebook page, Federer said: "I have some exciting news to share with you. Late last night, in Switzerland, Mirka and I became proud parents of twin girls. Montreal - The participation of Roger Federer in next month`s Montreal Masters remains uncertain, depending on when his heavily pregnant wife gives birth in Switzerland. With Mirka Vavrinec's due date top secret, the summer schedule of the number one and 15-time Grand Slam champion is up in the air. Reports indicate that if the child is not born before the end of July, then Federer will delay any travel to North America from his lakeside base near Zurich. Hamburg - Wimbledon champion Roger Federer remained ahead of Rafael Nadal and Andy Murray at the top of an unchanged top 10 men's tennis rankings, issued on Monday by the ATP. Federer stays on 11,220 points, with Nadal on 10,735 and British Wimbledon semi-finalist Murray on 9,700. Hamburg - Roger Federer returned to the top of the men's tennis rankings issued on Monday by the ATP, the day after his record-breaking Wimbledon title. The Swiss Federer dethroned Spanish rival Rafael Nadal after ten and a half months at the top with his epic five-set win over American Andy Roddick for a 15th Grand Slam crown at the All England Club. 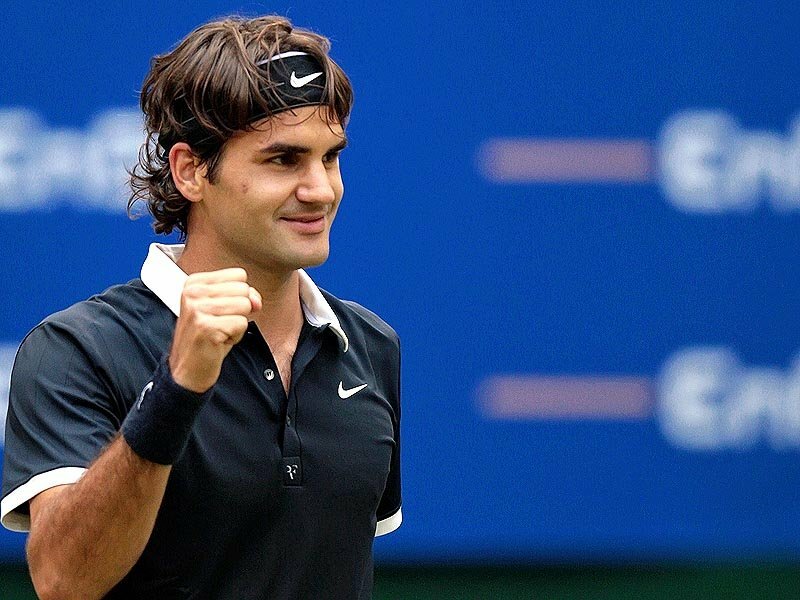 Federer has amassed 11,220 as he earned a 238th week atop the rankings. Roger Federer, the world no 1, has won the Wimbledon title in the men’s single event for the sixth time as he passed the record of 14 Grand Slam titles of Pete Sampras. Federer has defeated Andy Roddick in one of the most interesting finals ever in the Wimbledon history in London on Sunday. The five setter final was won by Federer by 5-7, 7-6(6), 7-6(5), 3-6, 16-14 as both the players displayed awesome competition in the final set. The five-time Wimbledon champion Roger Federer has stormed into the grand finale of the men's single event of the Wimbledon championship after defeating the 24th seeded Tommy Haas on Friday. Federer has defeated Hass in straight sets by 7-6 (3), 7-5, 6-3, in the semifinals to advance into his seventh straight Wimbledon final which has been a record in the 132 years history of the tournament. Federer will play against the six seeded Andy Roddick in the final of the men's single event to get register one more record against his name. London - Roger Federer motored into his 21st consecutive Grand Slam semi-final as the second seed moved closer to more tennis history with his 6-3, 7-5, 7-6 (7-3) defeat of Ivo Karlovic Wednesday at Wimbledon. Federer put forth an efficient effort in taming the towering Croatian in one hour, 42 minutes, with the Swiss now awaiting his last-four opponent as Tommy Haas faced fourth seed Novak Djokovic. Second Seeded Roger Federer has stormed into the quarterfinals of the men’s single event of the 123rd Wimbledon championship after defeating Robin Soderling in London on Monday. The five-time Wimbledon champion, Federer has defeated Soderling by 6-4, 7-6(5), 7-6(5) in the third round of the men’s single event of the Wimbledon championship. The first set of the match was easily won by Federer by 6-4 while in next two sets there was a tough competition between Federer and Soderling. London - Roger Federer fired past Robin Soderling for the second time in three weeks, 6-4, 7-6 (7-5), 7-6 (7-5) Monday to reach the quarter-finals of Wimbledon on the back of an 11-0 record in the series as the pair re-ran the recent French Open final. The Swiss second see is advancing methodically towards the business end of the event as he aims to lift a sixth title in seven years and set a new all-time mark with 15 Grand Slam singles titles should he win the Sunday final again. 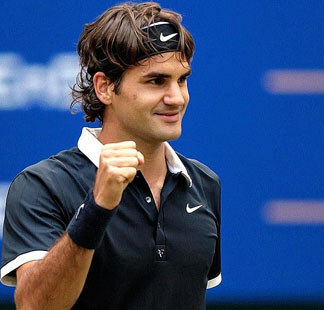 London, June 27 : Swiss tennis star Roger Federer, chasing his 15th Grand Slam title at this season’s Wimbledon, has expressed a desire to meet former South African President Nelson Mandela. The five-time Wimbledon champion once the tournament is over, he would appreciate a chance to shake hands with Mandela. “I''ve never met Nelson Mandela and it''s still definitely one of my dreams. He''s had an incredible life and has been inspirational to many people. 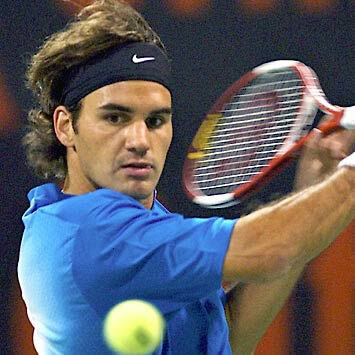 I have always looked up to him as a great man, that''s for sure,” The Sun quoted Federer, as saying. London - Roger Federer and Robin Soderling delivered knockout blows to third-round Wimbledon opponents Friday to set up a re-play of their French Open final three weeks ago. Second seed Federer, who claimed his career-first Roland Garros title at the expense of Soderling, dropped his first set of the week in a defeat of German Philipp Kohlschreiber, 6-3, 6-2, 6-7 (5-7), 6-1. The 13th-seeded Soderling defeated Spain's Nicolas Almagro 7-6 (9-7), 6-4, 6-4, producing 19 aces to 20 for the loser. London - An initially suspicious Wimbledon online betting spike has been revealed as punters jumping on injury information reported on television, but the idea of any corruption sits badly with five-time champion Roger Federer. "We always hope that the players also want the best for the sport," said the Swiss. "At the end of the day, that's what it comes down to." London, June 25 : Hitting out against players involved in match-fixing, tennis star Roger Federer has called for severe penalties for any player involved in the scandal. After his 6-2, 6-2, 6-4 victory over Spain's Guillermo Garcia-Lopez, Federer urged the sport's governing bodies to show no mercy if any cheating of the system can be proven. "We should have massive bans on those who get caught so they get really scared of doing it," he said.